British/Italian potter Luisa Cacciotti (b. 1973) is based in Godalming, Surrey. Since the beginning of her ceramics practice in 1997 she has used a wide range of techniques and explored a variation of clays and glazes. She is specialised in porcelain and black stoneware for which she makes all of her own glazes. Luisa has also taught pottery on an informal basis to both adults and children, focusing on giving her students the techniques necessary to allow them to explore their own creativity. She has just finished a MA in Contemporary Crafts (Ceramics) at UCA Farnham, where she researched the importance of touch in her ceramics. 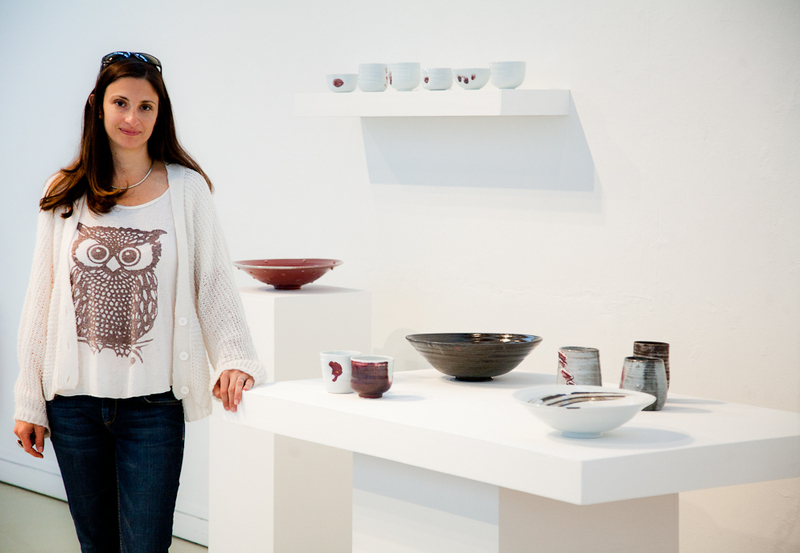 Luisa is now one of the four artist in residence at 318 Ceramics in Farnham. Luisa has been shortlisted for the Henry Rothschild Ceramic Bursary 2014.